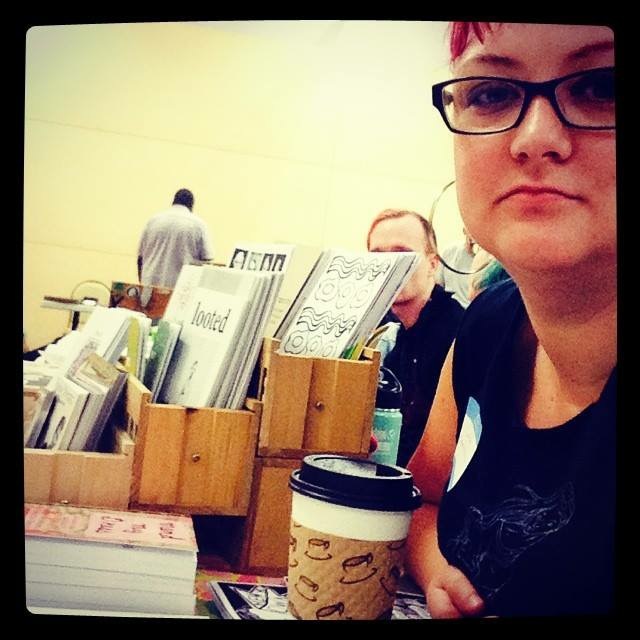 Mend My Dress Press is a small publisher and zine distributor based out of Tacoma, Washington. We are purveyors of anthologies of zines, small art books, investigative social pieces, and local authors. Mend My Dress Press was born out of grrrl love and the need for more small, independent publishing houses on the west coast that focus on preserving zines in the form of anthologies. We believe these forms of writing and art should be documented as part of our collective cultural history, and we are proud of our active role in this effort. We published our first book, Mend My Dress, a collection of Neelybat’s long running zine by the same title, in February 2013. We have since published the Shotgun Seamstress Zine Anthology, It’s Alright: A Truckface Zine Anthology Vol. 1 & 2, the Telegram and Ilse Content collections, and did the pre-production and layout of the Ring of Fire Anthology. We recently released our newest book, Retrospect: A Tazewell’s Favorite Eccentric Zinethology, and are currently working on a collection of When Language Runs Dry. We have traveled the country tabling and running workshops at zine, comic and independent book fairs, run workshops in schools, and have offered residencies for fellow authors and artists. If you would like more info, or would like to send us a sample zine for consideration, please contact us at info@mendmydress.com and check us out on tumblr, twitter, instagram and facebook. About us: Neely and Colleen have been trading letters, clothes and records since they were 14 and discovered a shared love of riot grrrl. It only seemed natural they would eventually start publishing together. All income is cycled back into the project for future projects, travel, events, and promotion. Mend My Dress Press relies heavily on volunteer work from others who believe in our mission and word of mouth, and we thank our volunteers and fellow zine community members for their continued support. Colleen has been writing bad poetry and shooting photos on plastic cameras for over two decades. She has worked in the non-profit realm in print production, design for over a decade, and these days works for a contemporary dance center in Seattle. Most recently, the majority of her time is spent beach combing with her wife and toddler Hank. They also share their home with two rescued cats and a terrier mix, Bernie Pickles. 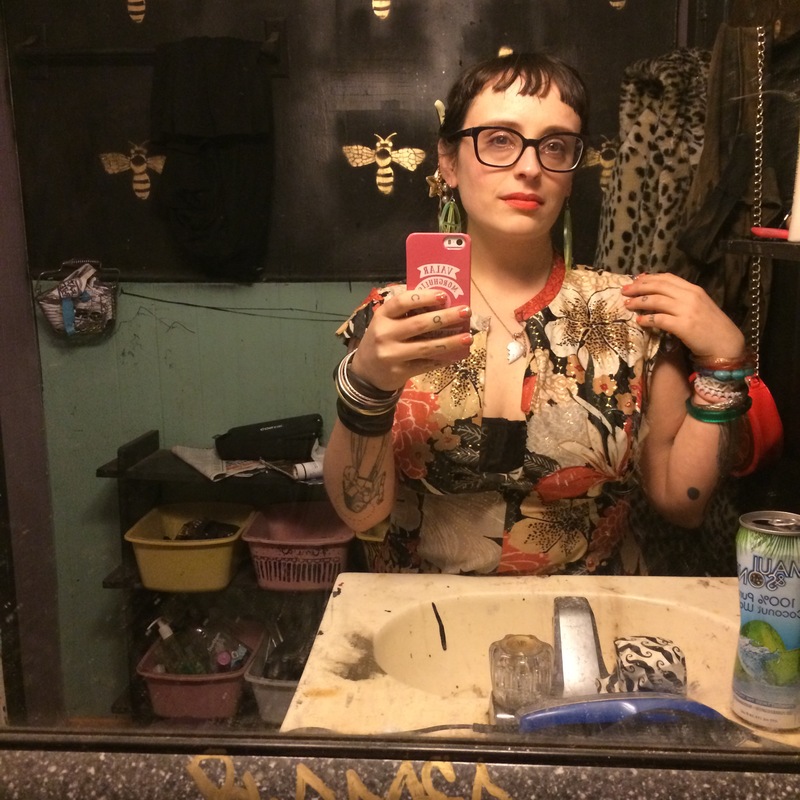 She is also a core member of Night Flowers Tarot Collective. Check out more reviews of our published work.